In this issue’s Q&A, Texas+Water Editor-in-Chief, Dr. Todd Votteler, interviews Dr. John Nielsen-Gammon, the State Climatologist of Texas. 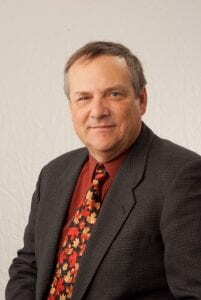 John Nielsen-Gammon is a Regents Professor at Texas A&M University. Dr. Nielsen-Gammon joined the faculty of Texas A&M University in 1991 and was appointed Texas State Climatologist by then-Governor George W. Bush in 2000. Dr. Nielsen-Gammon conducts research on large-scale and local-scale weather, climate, and air pollution. He teaches courses in weather analysis and forecasting, climate, climate change, and computer modeling. His current research projects include analysis of rainfall during Hurricane Harvey, improvements in techniques for drought monitoring, new methods for determining the importance of particular El Niño events, and assessment of the impact of turbulence on large-scale weather systems. 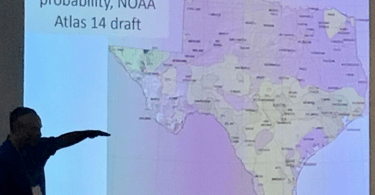 What does a state climatologist do? Does every state have one? Most states have state climatologists. They were originally positions within the National Oceanic and Atmospheric Administration (NOAA) until NOAA decided to get out of the climate services business in 1973. Many states took up the slack, and the importance of climate services has grown in recent years due to advances in understanding of both climate change and natural climate variability. In 1973, atmospheric scientists hadn’t even heard of El Niño. The American Association of State Climatologists notes that typical activities for a state climate office include coordinating and collecting weather observations for the purpose of climate monitoring, summarizing and disseminating weather and climate information to the user community, demonstrating to the user community the value of climate information in the decision making process, performing climate impact assessments and weather event evaluations, and conducting climate research, diagnosis, and projections. 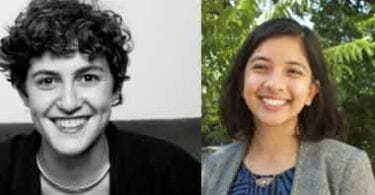 Among other things, I help coordinate input to the US Drought Monitor, give talks and answer questions about weather and climate, and serve on two state-level committees for drought and other natural hazards. What are the trends in temperature and precipitation data for Texas over recent decades? 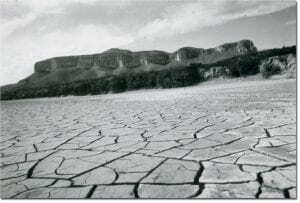 Cracked dry land during Texas 1950’s drought. Photo credit. We have comprehensive data going back to the late 1890’s in the state. Since that time, both temperature and precipitation have increased, but it has been a roller-coaster ride. The coolest decade was actually the 1970’s, but by now temperatures are already about a degree or two warmer than the 20th century average. If you take out the 1950’s, when Texas was in an extended drought and was unusually warm, the changes in Texas temperature aren’t all that different from the changes that took place globally. Rainfall can vary quite a lot from decade to decade, and that variability can overwhelm any medium-term rainfall trends. We went through a rather dry period from 1996 through 2014, culminating in the driest decade statewide since the 1950’s and the most intense one-year drought on record. Since then, we’ve had a few wet years, though this year has been mostly dry again. The trends aren’t uniform across the state. In West Texas, temperatures have increased an extra degree, while rainfall has hardly increased at all. Are those trends expected to persist? The temperature trends are. Almost every spot on the globe has experienced a temperature increase over the last century, and the main factors driving that change aren’t going away anytime soon. That doesn’t mean we won’t still have cold days and even cold years, but they’ll become less and less frequent over time. Conversely, hot years such as 2011 will become more commonplace. Hurricane Harvey. Photo credit: urban.houstonian. Rainfall is more of a wild card. Most, but not all, climate models predict that the rainfall trend will reverse itself and there will be a slight decline in the 21st century. But climate models don’t do as well with precipitation; the trends depend a lot on changes in weather patterns and things like changes in the frequency of El Niño. Some models go a lot drier, others go even wetter than today. But for the next few decades at least, natural variability will continue to be the main driver of overall precipitation. The story changes when we consider intense rainfall. The factors driving rainfall intensity are a bit different than the factors driving rainfall amount, both locally and globally. 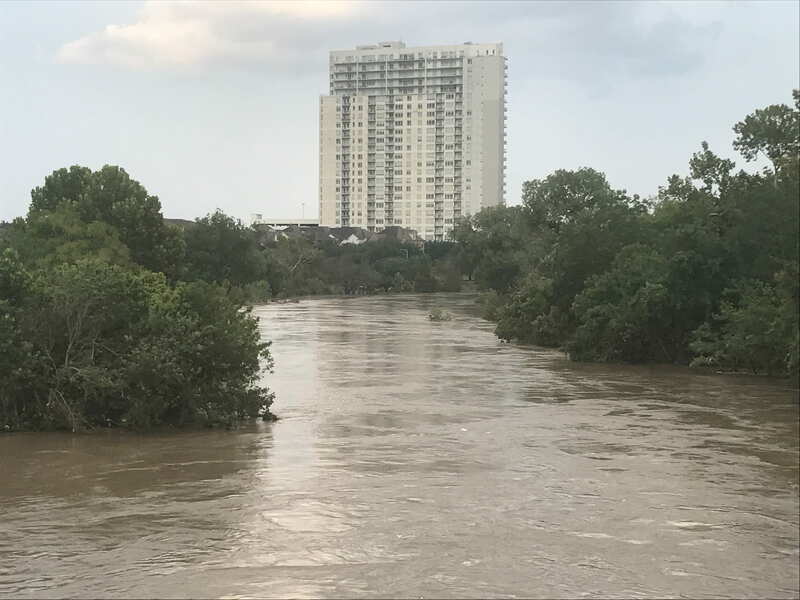 There has been an increase in the frequency and intensity of very heavy rain in Texas, and that trend will almost certainly continue because it’s closely tied to the temperature trend. I should note that Hurricane Harvey was such an extreme precipitation event that we don’t expect to see anything like it again for quite some time. The odds of such an event will continue to increase, but they’re changing from astronomical to extremely long. What do you think these trends mean for surface water and groundwater supplies in Texas? Higher temperatures, by themselves, are not good for either surface water or groundwater. Higher temperatures lead to greater evaporation, causing more water to return quickly to the atmosphere instead of remaining on or in the ground. This effect will be reduced somewhat by increased carbon dioxide levels, which allow plants to use water more efficiently. Carbon dioxide will help especially in the eastern half of the state where there’s lots of vegetation. As I said before, rainfall is a big question mark. But the tendency for more heavy rain also means more dry spells between rain events. Small watersheds, at least, should see more runoff, as more rain arrives faster than it can soak into the ground. But with more runoff and more evaporation, there will be less infiltration and less groundwater recharge. That’s bad news for sustainable groundwater use, but at least whatever’s in the aquifer already is not going to evaporate. What are some of the wildcards that could result from these trends? It’s a bit of a puzzle that while we’ve observed a definite increase in heavy rain, we haven’t observed a definite increase in peak stream-flow and resulting flooding. Recent research points to a plausible reason for that: in small drainages and urban areas, it’s the rainfall rate that matters, and the initial soil moisture conditions are almost irrelevant. In large watersheds, you need to get the soil saturated before substantial runoff occurs, and with drier soil it takes more rain to get the same amount of runoff as before. Another important issue is the effect of temperature and rainfall changes on wildfires. Other recent research suggests that wildfire risk will decrease in places where dry soil will limit vegetation growth but will increase in places where there’s lots of vegetation that can dry out during a drought. Would water for the environment be impacted as well? Most plants rely on soil moisture, so the decline in soil moisture caused by higher temperatures and more erratic rainfall will have direct implications for plants. Since there’s a strong variation from west to east in aridity, the main consequence will be a tendency for ecosystems to migrate eastward. Riparian communities (along streams and rivers) would undergo stress because of the double whammy of less regular natural stream-flow and greater water demand for human activities. The largest impacts of all might be reserved for Texas’ bays and estuaries, because they are at the end of the line and only get the water that hasn’t been captured elsewhere. We expect increases in bay and estuary salinity as evaporation increases and freshwater inflows decrease, which will result in changes to coastal and marine communities. As a scientist what you think are the most important things that Texas should be doing now to prepare for our future climate? It would be easier to prepare for our future climate if we knew exactly what it would be. At this point in time, it is best to plan for different possible climate change scenarios. We want to be able to manage our water resources properly whether or not rainfall decreases, so plans that have flexibility and adaptability built into them are most likely to be successful under a broad range of circumstances. It’s really hard to imagine, and be ready for, things that are outside our collective, historic experience, but that’s exactly what climate change requires us to do.